Rajeev Raj was Bopanna’s partner during the men’s double circuit in 2013. 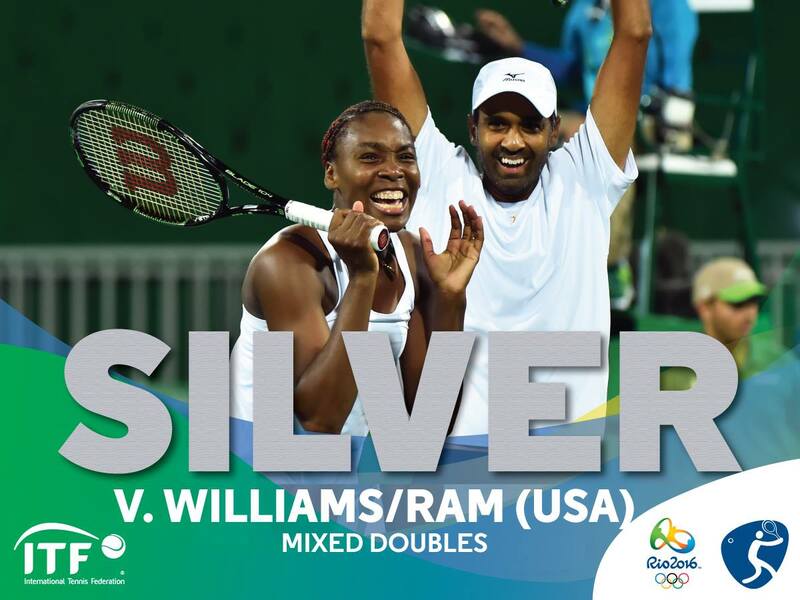 Breaking the Olympic gold medal hopes of Sania Mirza and Rohan Bopanna was Indian American Rajeev Ram, who teamed with Venus Williams to secure the United States a position in the finals, beating the Indian mixed doubles team in the semi-final 1-6, 5-7. In the one hour and 17 minutes long fierce battle in the Olympic Tennis Center, the Indian American sprinted with ease, sometimes, outplaying his experienced partner. The American mixed doubles team lost the final to another US pair, J Stocks-B Mattek, and was able to kiss the silver medal, marking a crucial innings in the career of the 32-year old Ram. The Indian doubles team later lost to the Czech pair of Lucie Hradecka and Radek Stepanek in the bronze medal play-off. Against the Americans, the Indian team made a good head start by winning the first set 6-2, but the American pair throttled in the second set, equaling the scoreboard and later winning the slot in the final of the Olympics through a tiebreaker scoring 10-3. A first generation American of Indian origin, Rajeev Ram is the son of Raghav and Sushma Ram who moved to the US from Bangalore. Even in the midst of the arousing victory, Ram was seen emotional. Ram dreamed of representing India in Olympics, but he was denied Indian passport as he spent all his life in America as a US citizen by birth. Another option for this 32-year-old Indian American was to give up his US citizenship. Since 2004, Ram has represented the USA and has won a total of two singles titles and nine doubles titles. Ram who is a better mixed doubles player than singles, has till now reached two Grand Slam semi-finals, the most recent one at the Wimbledon. Ram, who is currently ranked 24th in doubles has reached at least the quarterfinals of every Grand Slam and by defeating Mirza and Bopanna in Olympics he is sure to get his first ever Olympic medal in the mixed doubles tournament. Ram, who has till now partnered with many players tasted most success playing with the South African Klaasen. Both have won 5 titles and made it to the semi-finals of the Wimbledon championships last time. Ram is currently placed 114th in singles ranking, but he once reached 56th position. The Indian American has never gone past the second round in any Grand Slam Singles tournament. Ram played sensibly as the Indians started strong, later taking the lead from them in Bopanna’s first service to win the opening set quite comfortably.